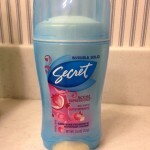 I’m always on the lookout for the best deodorant for women. I feel like my body chemistry has changed so many times over the years, and I continually have to change my deodorant to keep up with my changing body. So my best deodorant has changed over the years. 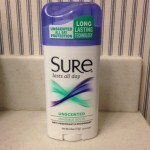 What a “Best Deodorant for Women” means to me: Invisible solids are greatly preferred, although I’ve used some sprays before; unscented is also preferred, although I’m always tempted by cute names like Very Berry Summerberry and Peach Burst; and long-lasting – as in 12 hours or more preferred. I tried the scented deodorants noted above, and they smelled great in the store, but when I got home and applied them, I couldn ‘t not smell the deodorant. I don’t like to be able to smell deodorant on myself, so as much as I loved them, they were out for me as the best deodorant for women – at least for me! Next I tried the Secret Outlast Completely Clean as I really like the Secret Outlast, as it really does seem to outlast other deodorants on the market. 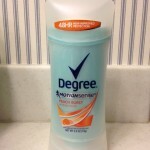 I used to use Degree often, which is why I tried the Peach Burst Degree, but it just didn’t seem to work as well as it used to – I’m thinking the changes in my body or something?! Maybe I’ll have to try the Shower Clean again as I believe that was my favorite. Anyways, then I moved on to the unscented deodorants to give my sense of smell a break. I wanted to smell fresh and clean and not like a deodorant stick. I went with Sure first – anyone else remember those Sure! Sure! Unsure! commercials? I think I remembered them as being sure you smelled good and not sure you’re dry! I did stay dry, but I wasn’t 100% confident in the odor department! 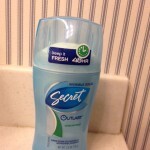 So I went back to my Secret Outlast, and went with the Unscented, and have been using that since. 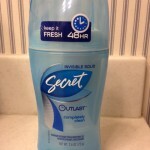 So the best deodorant for women according to me is the Secret Outlast Unscented solid.